Can Dark Chocolate Lower Your Cholesterol? Could it really be true that indulging in a delicious, organic dark chocolate bar lowers cholesterol? If you have high cholesterol, your dreams may have come true. Dark chocolate is one of many foods that have been shown to lower cholesterol in clinical trials. But, that doesn't mean you should eat it with every meal. Eating dark chocolate should be part of a change toward a healthier lifestyle if you're serious about lowering your cholesterol. Give yourself some dark chocolate as a reward for eating a healthy diet, losing weight, and reaching your exercise goals. Can I Get Cholesterol-Lowering Benefits From Milk Chocolate? The type of chocolate you consume matters when it comes to eating chocolate for good health because it's the properties of the cocoa that offer the health benefits. Dark chocolate, because it contains more cocoa than other palatable chocolate products, has higher amounts of flavonoids and thus is more likely to exert a protective effect against heart disease. 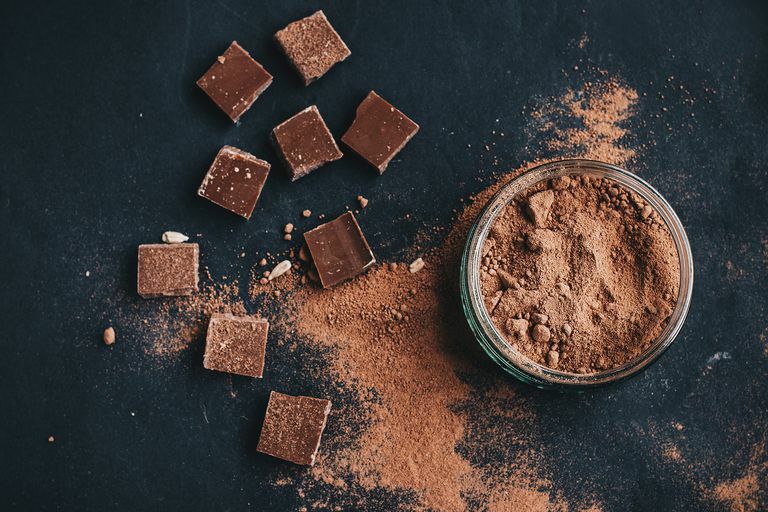 To make the most of adding chocolate to your diet to lower your cholesterol, choose products with a high cocoa content that have the least amount of processing, which lowers the flavonoid content. Products with high amounts of cocoa are proud of it, and percentages are prominently displayed on the label. Organic chocolate has usually undergone less processing than non-organic brands. Additionally, other forms of chocolate, such as Halloween candy and hot chocolate, may contain undesirable ingredients that may raise cholesterol levels, such as whole milk. Eating dark chocolate as a short-term intervention lowers low-density lipoprotein (LDL) and total cholesterol levels, according to a meta-analysis published in the European Journal of Clinical Nutrition. Researchers analyzed the data from 10 clinical trials in which the 320 participants added dark chocolate to their diet for 2 to 12 weeks. The dark chocolate intervention significantly reduced serum LDL and total cholesterol, but not high-density lipoprotein (HDL) or triglycerides. Eating high-cocoa polyphenol-rich chocolate is effective at increasing HDL in patients with type 2 diabetes, according to a study published in the journal Diabetic Medicine. In this study of only 12 participants, researchers prescribed adding 45 grams of chocolate to their diet for 8 weeks. Half of the participants received the polyphenol-rich high-cocoa chocolate and half had high-cocoa chocolate. Results show the low polyphenol chocolate produced no changes. The high polyphenol group had a significant increase in HDL and a decrease in total cholesterol. Chocolate has over 300 naturally occurring chemicals within it. The most well-known include caffeine, sugar, and cocoa. One of the lesser-known chemicals in chocolate are flavonoids. Flavonoids are also in red wine and have been found to lower ​LDL cholesterol levels as well as exert a protective effect against coronary heart disease. Additionally, one-third of the fat content found in chocolate is in the form of stearic acid. Although it is a saturated fat, stearic acid exerts a neutral effect on cholesterol levels; that is, while it does not appear to raise cholesterol levels in some studies, it does not appear to lower them either. Is It Safe to Take Phytosterol Supplements to Lower Your Cholesterol?